Details about the paediatric continence service for children aged 4-19 are outlined in this leaflet. Pinpoint has worked with parents, service providers and commissioners to improve the service for children with continence issues. A Continence Action Group was formed to jointly work towards service improvements. 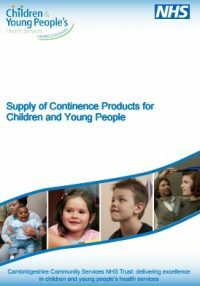 As a result, from April 2015 the budget for a continence service for children and young people was separated from the adult budget in order to provide a more child-centred service. When Bianca Cotterill was told there were no supplies of breathable nappies for her growing, disabled daughter, she found it unbelievable. “Holly had outgrown her nappies and all I wanted was the same thing but larger. But the school nurse said ‘no, it’s not possible’, the only kind available were plastic-backed ones, which were not suitable because Holly has heat-related seizures. “As an exhausted parent, you might be defeated by a can’t do attitude like this and if you are caring for a child with disabilities, you often don’t have the time or energy to battle on. So you have to let go or just accept things that irritate you. “But I just found this nappy situation ridiculous. It was an essential for my daughter and for lots of other families too. I was determined not be fobbed off with something that wasn’t right. With Pinpoint behind me, I felt it wasn’t the same mountain to climb so I just kept phoning and challenging. 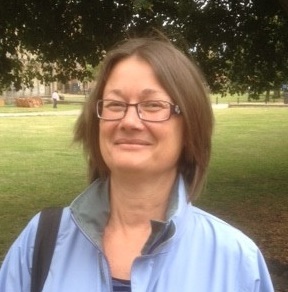 Bianca’s battle helped forge Pinpoint’s Continence Action Group – above – which brings together parents and users of the Cambridgeshire continence service with the managers who buy and provide the service. Bianca, a long-time volunteer for us, is a former Pinpoint Trustee. ERIC (Education and Resources for Improving Childhood Continence). ERIC is a national charity dedicated to the bowel and bladder health of all children and teenagers in the UK. It provides information and support to children, their families and the professionals who treat them. Helpline* 0845 370 8008 Monday to Thursday 10am–2pm or email: helpline@eric.org.uk. *Calls to the helpline cost 9.6p per minute, plus the phone company’s access charge. Fledglings , a local charity, have a wide range of continence products, from pads to swimwear. MindEd, is a free educational website mainly for people working with children and young people, but may also be useful for parents. You need to register but then the training modules are free. There are modules on wetting and soiling.